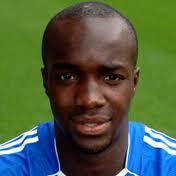 Lassana Diarra has opened the door to a move to Manchester United after telling Real Madrid he wants to leave. The former Arsenal and Chelsea star has grown increasingly frustrated at his lack of first-team opportunities at the Bernabeu, and is now determined to quit in the January transfer window. Spanish newspaper Marca is reporting that French international Diarra told the Madrid club on Tuesday that he wants to go, and claims the player informed them he had received an offer from Old Trafford.Diarra arrived at the Bernabeu in 2009 for £20million, but accoring to The Guardian, Real Madrid would be willing to accept a bid of £14million, after original valuations of the player by Manchester United were closer to £10million.